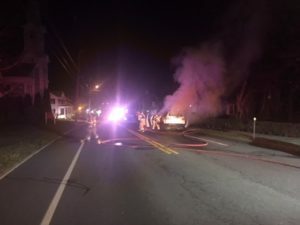 A car fire lit up Main Street in Oldwick near midnight on December 27, 2018. The car was quickly extinguished and towed. Many thanks to our partners, the Tewksbury Police Department. 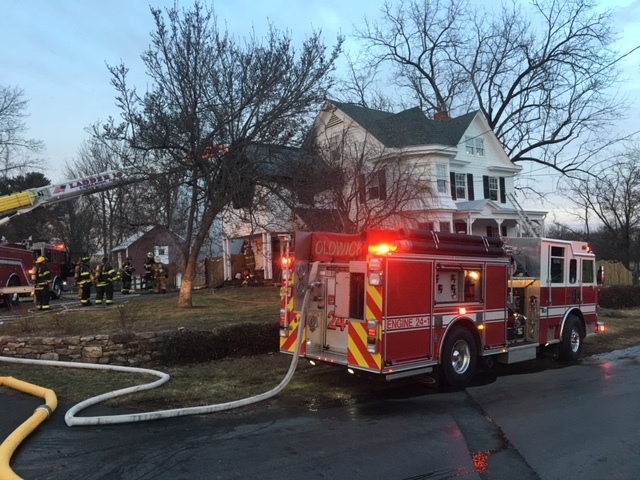 The Oldwick Fire Company and Mutual Aid, including Hunterdon Tanker Task Force-East, responded to a fire on Church Street. The fire was contained to a single room on the second floor. Many thanks to our mutual aid companies. 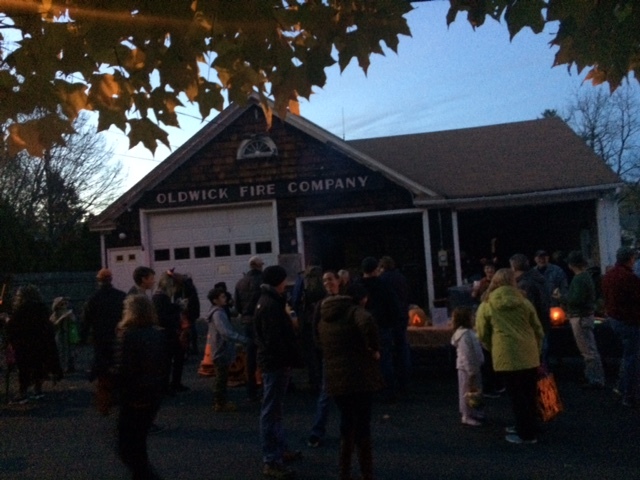 On Monday October 31st, members of the Oldwick Fire Company served hot dogs, hot chocolate and cider to trick or treaters in front of the old fire house on James Street. The fire company, with township approval, closed off sections of Oldwick to motor vehicle traffic for trick or treater safety. DUring the festivities, an outdoor fire pit spread to the homeowners front lawn, As the house was 100 feet from the fire truck, it was one of the fastest response times of the Oldwick Fire Company. 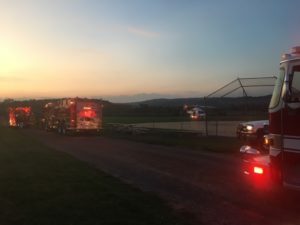 Assistant Chief Jim Conner jr and junior firefighter Tyler Priece are on scene. 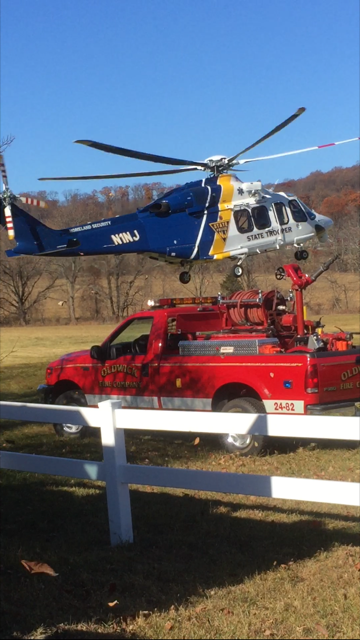 As part of the Hunterdon County Tanker Task Force, on February 13, 2016, Oldwick was called to assist in water supply operations at the Veterans Industrial Park, in Hillsborough N.J. The complex was built in 1940 as part of the Defense Logistics Agency Depot system. 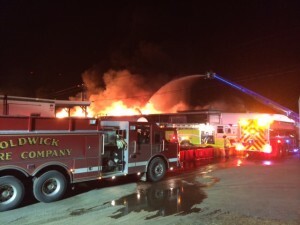 The fire was contained to two warehouses despite high wind conditions. 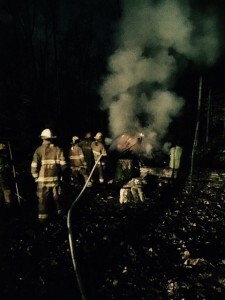 High winds caused multiple brush fires in the area. 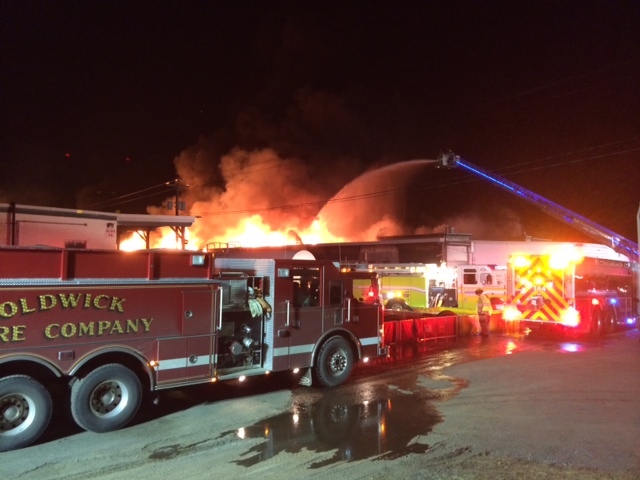 Oldwick members operated the Oldwick, 2500 gallon capacity pumper-tender for a fourteen hour shift supplying several master streams, operating on the buildings perimeter. 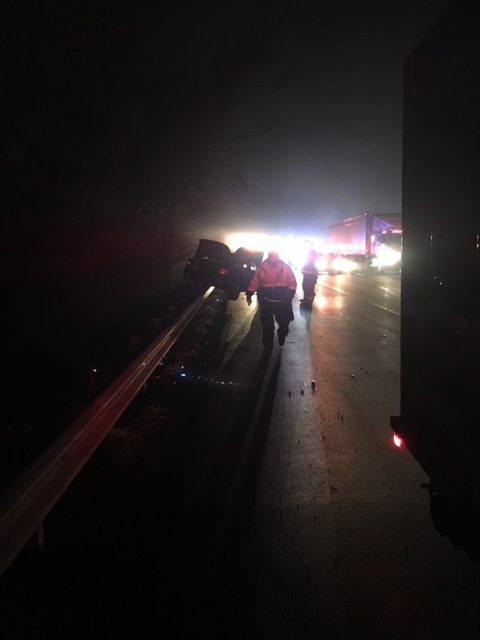 In addition to high wind conditions, operations were hampered by 14 degree temperatures which caused equipment strains due to ice in operating valving and other pump components. 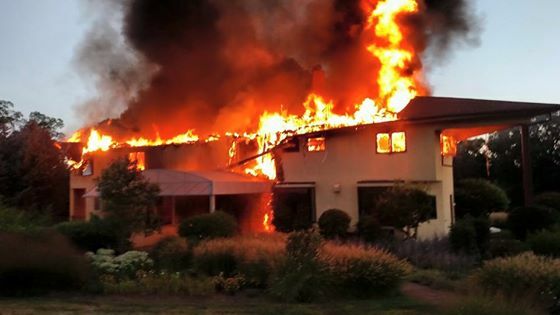 At approximately 4:45 AM on August 8, 2015, the Oldwick Fire Company and surrounding mutual aid fire companies responded to report of a smoke condition on Hollow Brook Road. 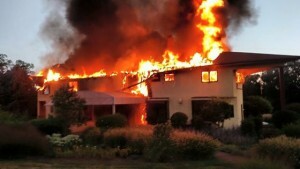 Upon arrival, the large home was fully involved. Water supply and terrain were large factors. The home was situated on a steep hill away from water supplies. The North County Tanker Task Force was alerted and a water shuttle was established with fill sites in Pottersville and at TES. 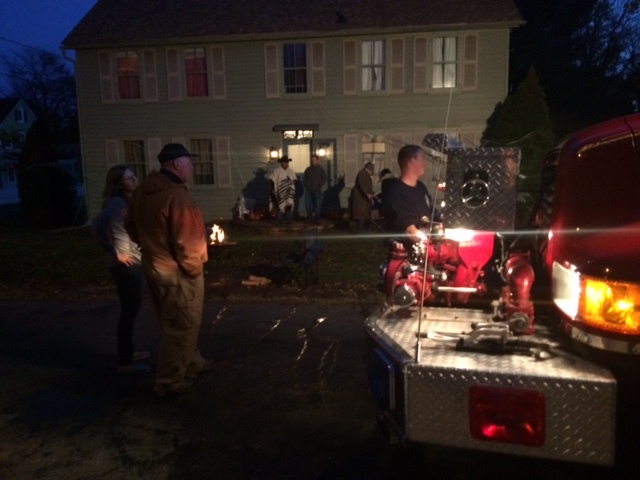 During the fire, smoke was visible throughout the Township. 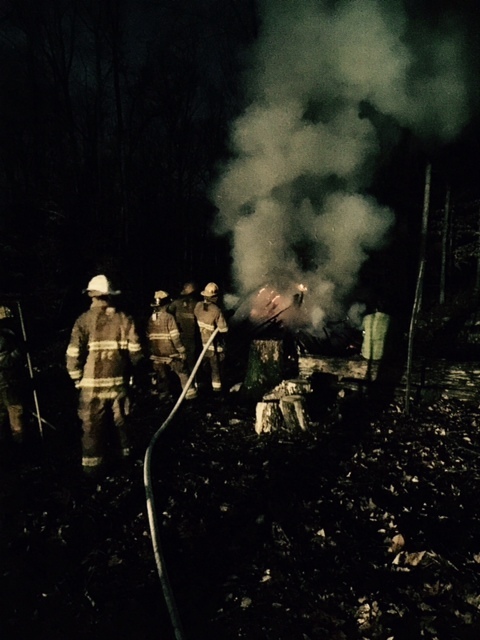 Fire was contained to the structure and did not spread throughout the wooded area.